Maine Bound can customize a challenge course experience to meet the needs and goals of any group. Games, adventure initiatives, and team building programs can be done anywhere, indoors or outdoors. 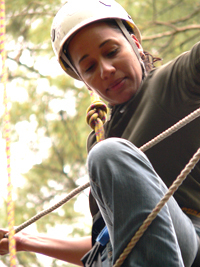 We also offer rock climbing, rappelling, canoeing, and more. Call (207) 581-1794 for more information.